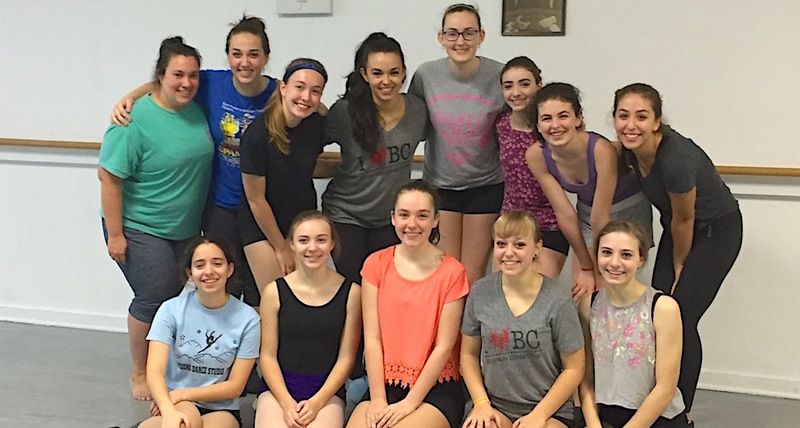 Melissa McCann's Broadway Connection master class in Rochester, NY. Photo courtesy of McCann. The Broadway musical Finding Neverland launched its first U.S. National Tour this fall after finishing a run of 565 regular performances and 33 previews at the Lunt-Fontanne Theatre in New York City. The tour, which includes 29 cast members, will conclude in Boston on August 20, 2017. 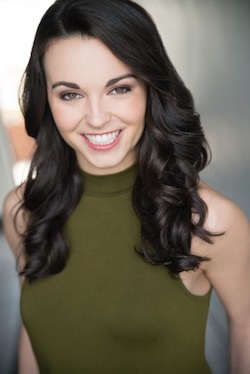 Broadway Connection Teaching Artist Melissa Hunter McCann is currently serving as a swing on tour. 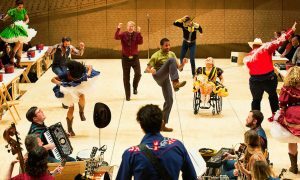 A Pace University graduate who has worked on productions like Carnegie Hall’s West Side Story and Encores’ Paint Your Wagon, she is enjoying performing and teaching on the road. Melissa McCann of ‘Finding Neverland’. Photo courtesy of McCann. Here, Dance Informa speaks with McCann to learn more about her career, what her role on tour involves and what she aims to teach her students in her Broadway Connection classes. Can you first share a little about your background in the performing arts? When did you have your ‘big break’? What were some of your first professional gigs? “My ‘big break’ was at the beginning of my junior year in college when I booked the workshop of a new musical called The Nine Fathers of Ariel, directed and choreographed by Graciela Daniele. Michael John LaChiusa wrote the music and lyrics, with a book by Ellen Fitzhugh. The cast was stacked with incredible Broadway actors, and I was extremely lucky to receive my equity card by working in the most talented and creative room. I was the only female dancer, and I did not speak at all in the show. It truly was a dream! Graciela brought something very special out of me, and I will forever treasure those seven weeks of pure creativity and artistry. For our readers who are unfamiliar with Finding Neverland, what is the story about? “The story of Finding Neverland is about the author J.M. Barrie and how he came to write Peter Pan. It is based around the meeting of a young woman, Ms. Sylvia Llewelyn-Davies and her four boys, George, Peter, Jack and Michael, who meet Mr. Barrie in Kensington Park one day. 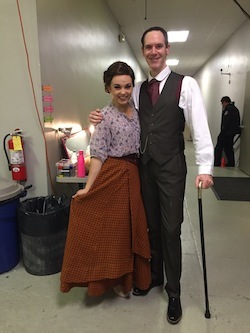 Melissa McCann with fellow swing Matthew Quinn. Photo courtesy of McCann. Three-time Emmy Award-winning choreographer Mia Michaels choreographed the musical. What’s it like performing her movement numerous times a week? Speaking of that, what does it take to be a successful swing? “Being a swing is a much harder job than I ever anticipated. Besides having the skill-set to cover multiple roles, you also have to be very smart, organized and especially calm. The best way to be successful as a swing, in my opinion, is to always be overly prepared. You honestly can never be prepared enough because you never know when you may be thrown on with only five minutes to jump into your costumes and not have a chance to study your notes. What’s one aspect of being a part of a national tour that’s surprised you? “This is my first national tour, so speaking to other friends who have toured multiple times, they always say to pray that it is a good group of people that mesh well together. Luckily, this group of people has far surpassed all of my expectations and has really become my family. 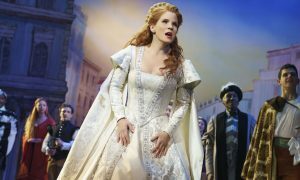 As a Broadway Connection Teaching Artist, how do you seek to inspire young artists? Melissa McCann’s Broadway Connection master class in Chicago. Photo courtesy of McCann. 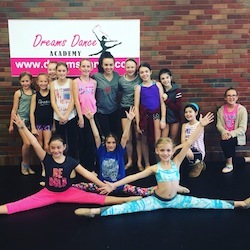 “Whenever I teach a Broadway Connection master class, it is always one of the highlights of my week. I wish I would have had the opportunity to take a class like that at my studio while growing up, because it is so inspiring on both ends of the classroom. I am always inspired by the students’ energy and enthusiasm when teaching the choreography from the show. It is interesting because I just made that transition from full-time student to teaching, and it really is so rewarding. I hope to inspire them by immersing them in a creative environment where they can express themselves fully. Do you have any advice for teachers who are training students who dream of being on Broadway? “My biggest advice to teachers is to stress versatility, as well as make their dancers take voice and acting. There is rarely such a thing as a dancer who does not sing on Broadway in today’s industry. It is so important to train in all styles, because the more skills you have, the more jobs you will ultimately land. 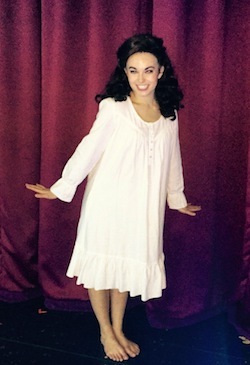 Melissa McCann in her Wendy debut. Photo courtesy of McCann. Lastly, why should everyone come see Finding Neverland on tour? “Everyone should come see Finding Neverland because it is a spectacular show! 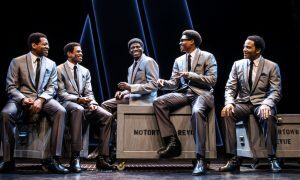 The show will take you on an emotional journey, leaving you with a smile on your face at the end. For further information on Broadway Connection, visit www.broadwayconnection.net. To see what cities are on schedule for the touring production of Finding Neverland, head to findingneverlandthemusical.com.